Most people have a bucket list and so do I. 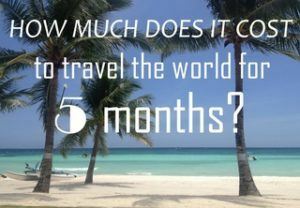 Going on a long-term trip was one of the items on the list, and after 10 years of dreaming and saving money I actually went on this trip in 2015. Traveling to New Zealand was at the my top bucket list so it’s no coincidence we started our 5 month trip there. To this day, New Zealand is the most beautiful country I’ve ever visited! 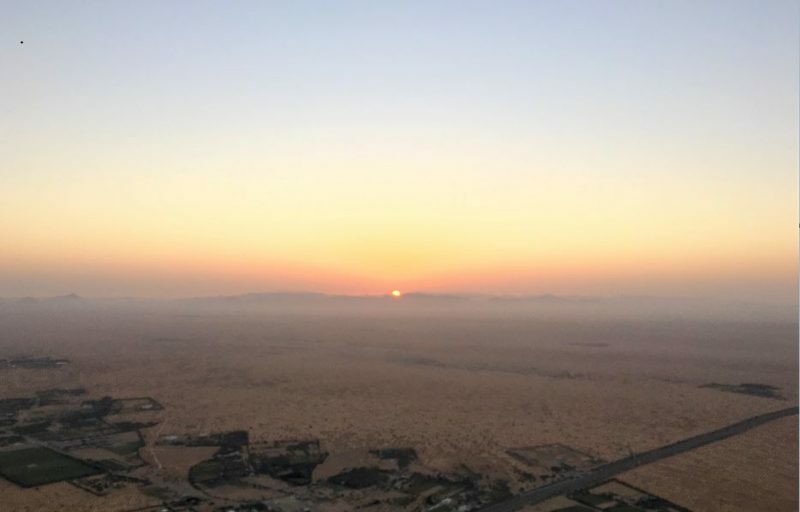 But I digress, over the years I’ve been lucky enough to cross of many bucket list experiences and I just checked off another one: make a hot air balloon flight! I usually don’t particularly like getting up before dawn but when my alarm went off at 4am I immediately jumped out of bed. Frank and I quickly packed our things and went downstairs to the lobby of our hotel (the Premier Inn IBN Battuta hotel). At 4.30am exact we were picked up with a jeep and driven to the launch location of the hot air balloon. When we got out of the jeep it was quite cold and I was happy I decided to wear my thermal longsleeve, my scarf and jacket. 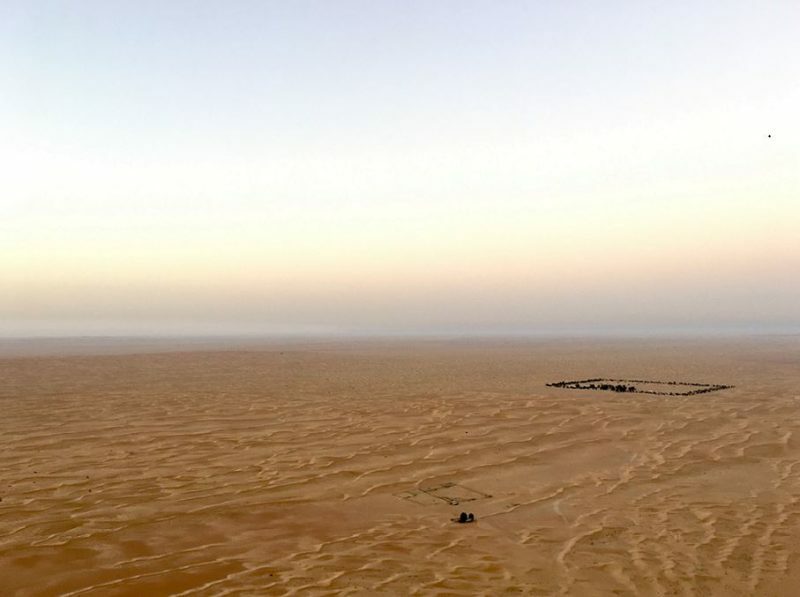 In the east we could see the sky getting lighter and the preparations for the balloon flight were in full swing. The balloon crew was already present and was busy rolling out the massive balloon. Fun facts: the combined weight of this balloon and the basket is 1000 kilograms. The balloon can reach a maximum height of 4000ft. It was slowly filled with air, first cold air and bit by bit hot air was added. Our pilot Mahmoud gave us a clear safety instruction and explained what was going to happen during the flight. When the colorful balloon was filled with the right mix of cold and hot air it slowly rose and when it was upright it was time for us to hop into the basket and tighten our safety harness. In an instant the balloon lifted us of the ground and slowly we rose higher and higher up into the sky. We watched how the people, cars and camel farm below us became smaller and smaller. 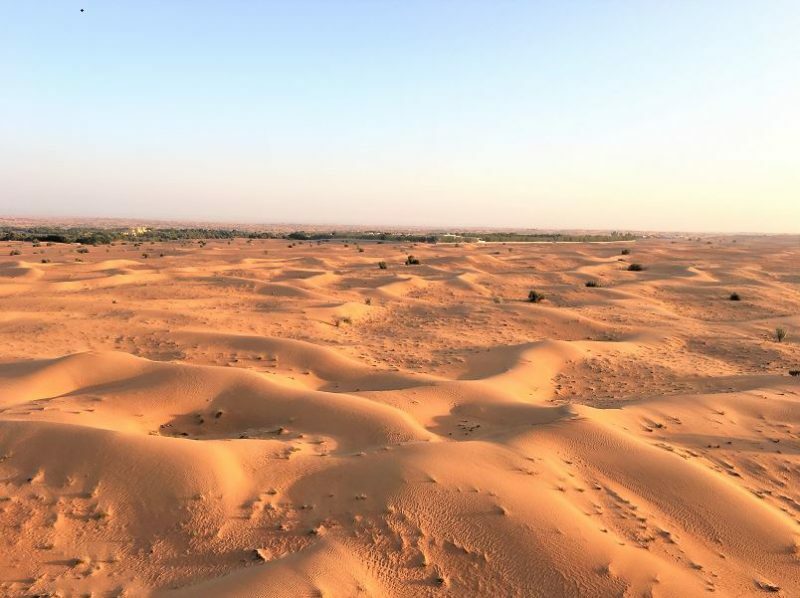 Also check out this 4 day Dubai itinerary and best places to visit in Dubai. What stood out to me was the absence of sound (apart from the occasional blast of hot air into the balloon). We floated through the air in complete silence, so peaceful! It reminded me a bit of diving, where you also float weightless through the water with no sound but your own breathing. 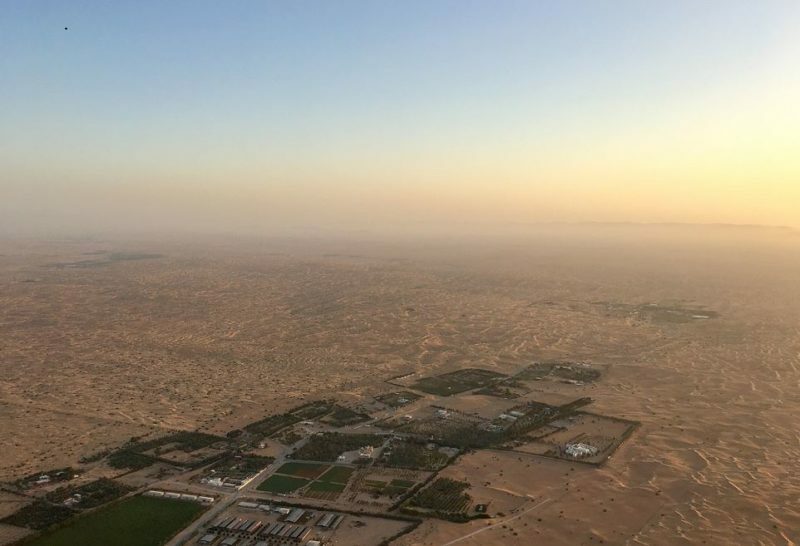 It was amazing to watch the desert below us, the camel farms dotted around the landscape and the Hatta Mountains in the backdrop. And than the sun slowly rose over the mountains in the east, it was nothing short of magical and something I’ll never forget. Mahmoud, our pilot, happily answered all our questions and explained the basics of hot balloon flying. When asked how to steer the balloon he explained: each altitude has its own wind direction. 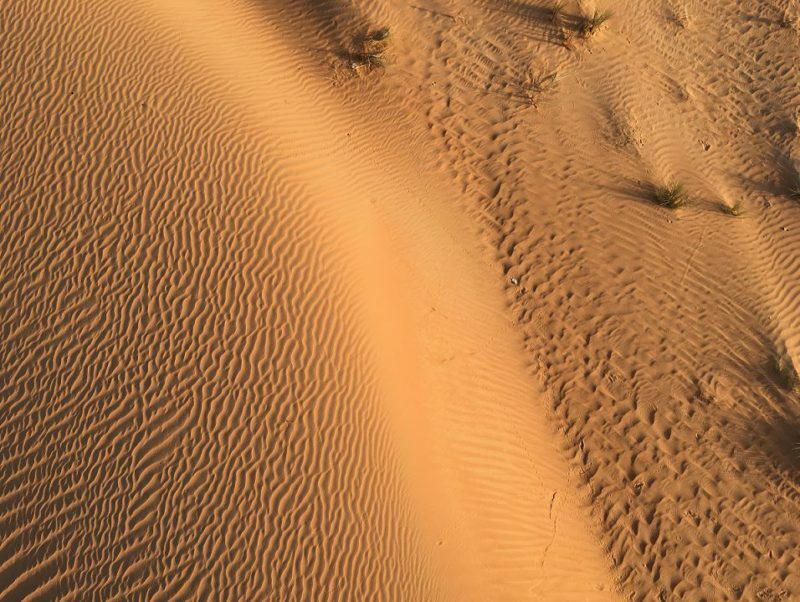 Therefore, he can steer the hot air balloon by climbing or descending to a different altitude with a different wind direction. Well, that’s the theory, but I imagine it’s not as easy as it sounds! I could have floated around forever, but before we knew it it was time to land and we slowly descended until we were just a couple of meters above the ground. We assumed landing position: squad down into the basket with your face in the opposite direction of the planned landing direction and hold the handle in the basket. Mahmoud gently landed the balloon on the intended spot where the balloon crew was already waiting for us. • We were picked up from our hotel at 4.30am and got back around 10am. • There are approximately 20 people in the basket, 5 per subsection (there are is one section in each corner and 1 in the middle for the pilot. 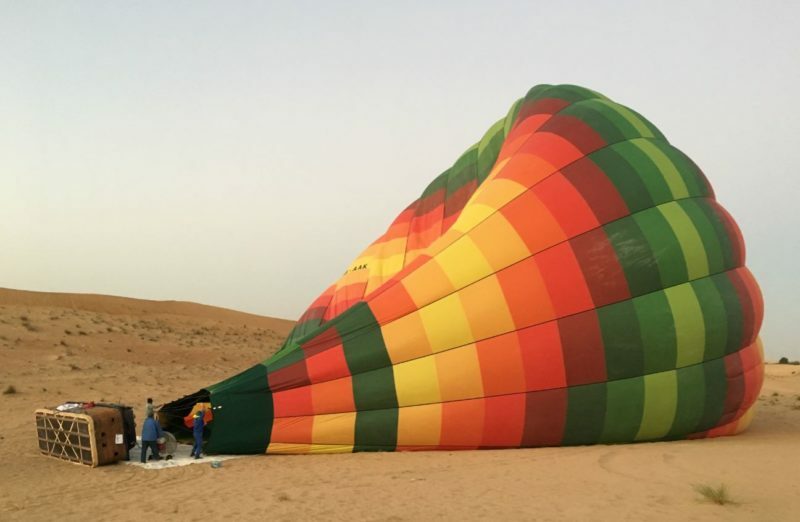 • Passengers are distributed over the different subsections according to weight so the basket will stay level so you’ll be asked to give your weight when booking the hot air balloon flight. • Be aware that it’s pretty cold before sunrise and up in the air so dress appropriately. • There isn’t much space in the basket so bring as little as possible, you don’t need anything besides yourself and a camera. • Information about prices can be found on the Sindbad balloon website. 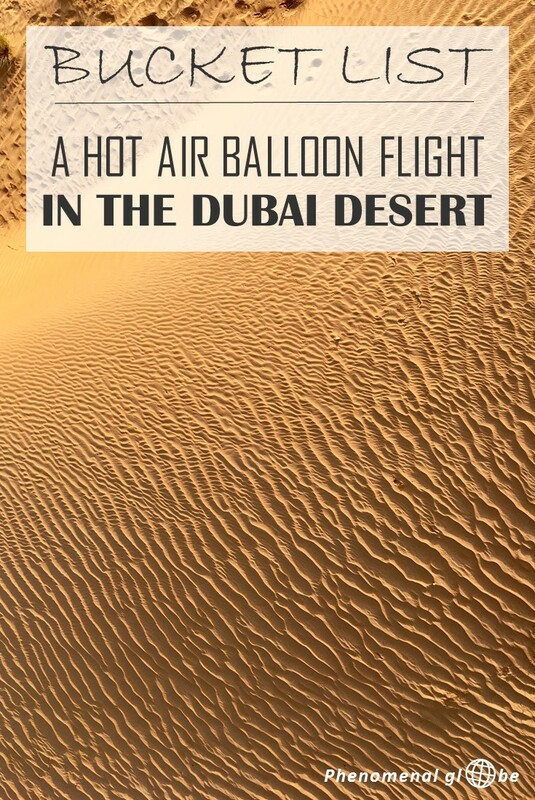 Read more tips for your first hot air balloon flight! I use my bucket list as a way to inspire myself to keep exploring the wonderful world we live on and to experience as much of it as I can. Disclaimer: I was a guest of Sindbad Balloons on their sunrise hot air balloon flight. Nevertheless, all pictures and opinions are my own. Schitterende foto’s Lotte, dank je voor de mooie beschrijving. 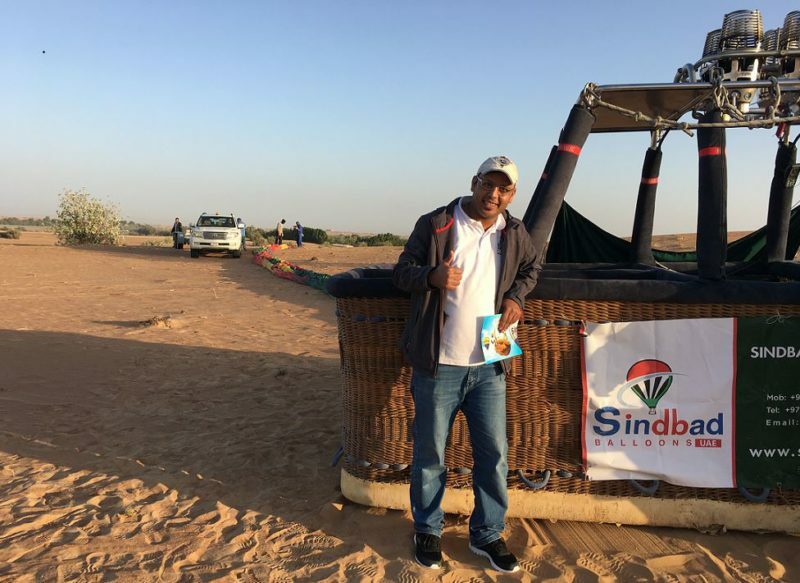 Manager Operations & Training Sindbad Gulf Balloons en ballonvaart examinator Verenigde Arabische Emiraten. Dankjewel Erik! Het was ook schitterend:-). 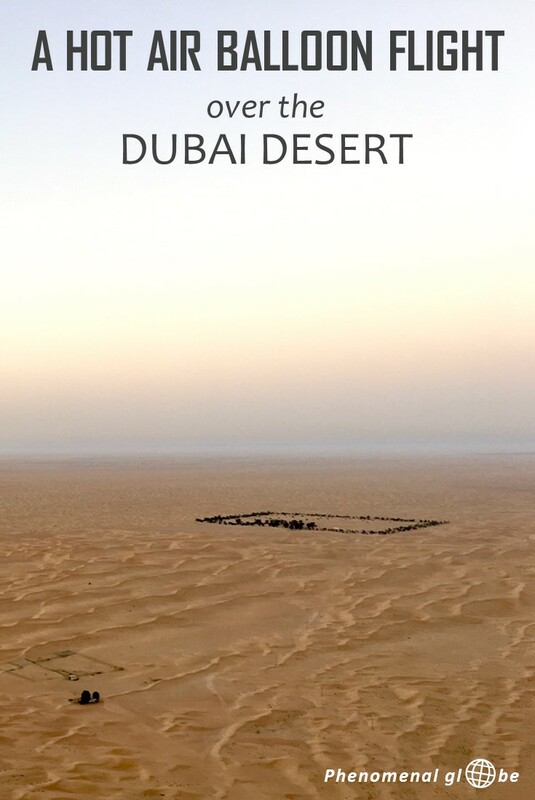 Veel plezier komende tijd in Dubai!